In week one we will work on the principles of Tai Chi and Qigong, practicing, enjoying and learning various moves and sequences. In particular we will learn some short Tai Chi sequences and the Qigong Sequence Ba Duan Jin also known as the 8 Treasures. In week two you will learn step by step the complete Yang style Broadsword form. 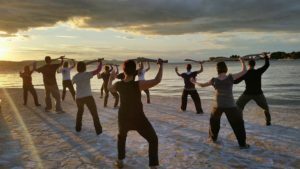 Week two is aimed at people who have ideally studied some Tai Chi and want to learn a weapons form. 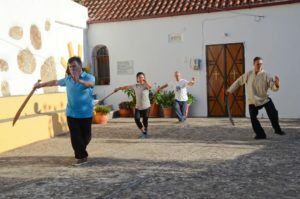 It will also include warm up QiGong exercises and we will be working on the general principles of Tai Chi that should help with any other forms you may already know. A DVD of the form will be available showing the moves from different angles and at various speeds to help remember what you have learnt. 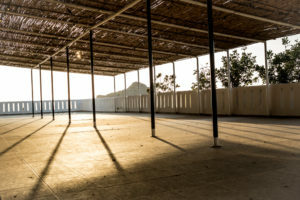 You may also find the workshop of interest if you have studied other martial arts or are used to activities that require a degree of body control such as sport or dance. Do not hesitate to contact me brian@yogatherapygreece.com if you have any queries about your suitability or matters relating to the workshop. Clean linen, hand and bath towels. Private Yoga Therapy Sessions limited to one person per day (we advise to book in advance). 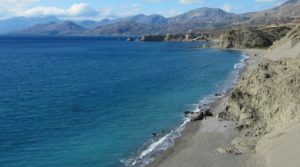 The training takes place over looking the awesome bay of Agios Pavlos in South Crete. 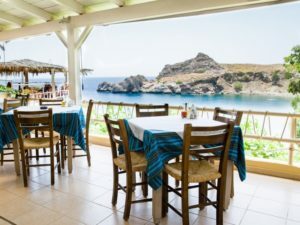 The hotel is located on a small cliff with great views of the picturesque sandy beach with lovely warm and crystal clear blue waters. The beach is only few footsteps away from our rooms while incredible stretches of sand dunes lie only ten minutes walk away. 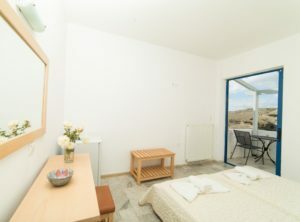 All the rooms have a balcony and a sea view, air con and a nice bathroom. The breakfast and dinner are fresh vegetarian and delicious. Most people arrive by air to Crete into Heraklion airport (HER) or Chania airport (CHQ). They are both equal distances from the retreat and the transfer is about 2 hours. 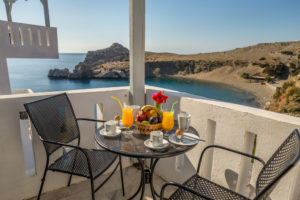 There are also daily ferries from Piraeus and Santorini to Crete. The taxi is 110 euro from Heraklion, 120 euro from Chania and we always facilitate sharing taxis among participants. A deposit of 30% is required to secure a booking. All deposits are refundable up to 2 months prior to the Training Retreats starting. Deposits to be paid by Bank Transfer either into an English Bank Account (in Pounds) or into a European Bank Account (in Euros). 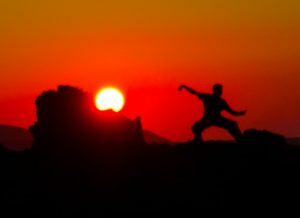 For testimonials please visit Tai Chi and Qigong page. I have known Brian more than 25 years. He is a hard working Taiji practitioner really committed to the art. He is serious and also a calm and good hearted person. He never gives up and although difference of circumstances his commitment never changes. He is a very clear teacher and very supportive.